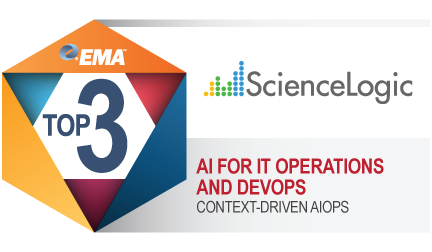 EMA Top 3 Decision Guide for AI/ML for Optimizing DevOps, IT Operations, and Business. Top 3 Decision Guide for AI/ML for Optimizing DevOps, IT Operations, and Business. At the same time, most enterprises are still struggling to understand the basics of how to successfully evaluate AI and ML solutions, how to put project performance metrics in place, and how to handle the eight key limitations of AI and ML technologies today. Download your complimentary report and learn why ScienceLogic is a leader.